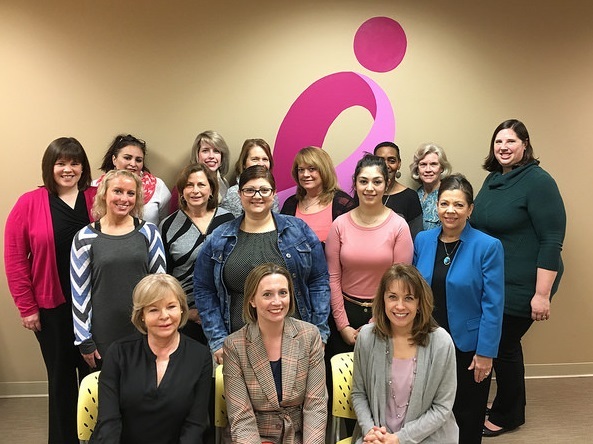 Susan G. Komen Central Indiana® is investing nearly $500,000 in seven local projects to address the most critical needs for breast health and breast cancer in its 41-county service area. Learn more about the 2018-2019 Community Impact Grants. Since 1992, Komen Central Indiana has awarded more than $20 million in community grants to local organizations that deliver breast health services throughout our service area. Grants were awarded to community projects with the ability to make the greatest impact and to meet the greatest needs, as determined by an independent review panel. Please note that Komen is not a direct service provider. Five local programs were chosen to partner with Komen Central Indiana to deliver evidence-based education regarding breast health. These investments will help community members gain a better understanding of their personal risk of breast cancer, breast health services available through their insurance plan or community resources, appropriate timing of screenings and how to access care without insurance or with limited coverage. These organizations, with support from Komen Central Indiana, also provide referrals for screening and diagnostic tests for their patients, including those who are at a higher risk of developing breast cancer in their lifetime. Two local programs were selected to partner with Komen Central Indiana to guide patients through the breast cancer continuum of care from the point of diagnosis forward and to help breast cancer patients overcome barriers. The goal of Komen Central Indiana’s patient navigation program is to ensure quality and timely access to treatment for all breast cancer patients living in central Indiana. Navigators funded through this program will lead breast cancer patients to services tailored to individual needs, including but not limited to transportation, nutrition, childcare, interpreter services, treatment assistance, and psychosocial support. *If you live in Komen Central Indiana’s 41-county service area and are in need of breast health assistance, please contact us at 317-638-2873 or info@komencentralindiana.org to learn more about local programs we lead and how we can help you.